Anytime Locksmiths Birmingham provides top security solutions to homes and businesses in the West Midlands. Local Birmingham locksmiths are on call 24/7 offering a complete emergency locksmith service at anytime. Locked out the car? Lost your office key? Get your lock picked professionally by expert locksmiths without causing any damage to your lock or door. Antique safe locks often get stiff and jammed and our technicians know how to deal with them professionally and with the care they deserve. Installing new locks, lock change, key duplicating and all other standard locksmith work are carried out by fast and friendly experienced locksmith Birmingham. We recommend changing locks, particularly front and back door, in a new home as you don't know who may have access to the keys from the previous owners. Making your home a safe place to be should be a number one priority for you and your family. At Anytime Locksmiths Birmingham, your security is our priority and security experts are happy to provide advice on how to secure your property. From adding stronger locks to pointing out weak spots and dark areas that provide good cover for burglars, as well as alarm and entry access system recommendations, you can get advice and the work carried out by best Birmingham locksmith. Anytime Locksmiths carry brand names such as Chubb, Yale, Era and Mul-t-lock as well as non brand name locking systems, and can help advise which lock suits your needs best. We supply and install 5 lever mortise locks as per most insurance requirements for entry and exit doors. The popular UPVC window and doors require specific types of locks and our UPVC experts can help you choose what's right for you. If you just dropped your keys in the boot while taking stuff out your car you are probably kicking yourself. But if you are stuck on the highway with the key stuck in the ignition you are probably tearing your hair out trying to work out what to do! 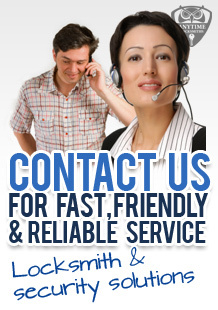 Our roadside service by locksmiths in Birmingham means we will come to you wherever you are stuck and save the day. And to make sure you are not left standing out in the cold too long, we offer a rapid response, getting to you in as soon as 20-30 minutes when possible. All Birmingham locksmiths are insured and provide full guarantee on all work carried out ensuring you are left 100% satisfied with every service and every locksmith.